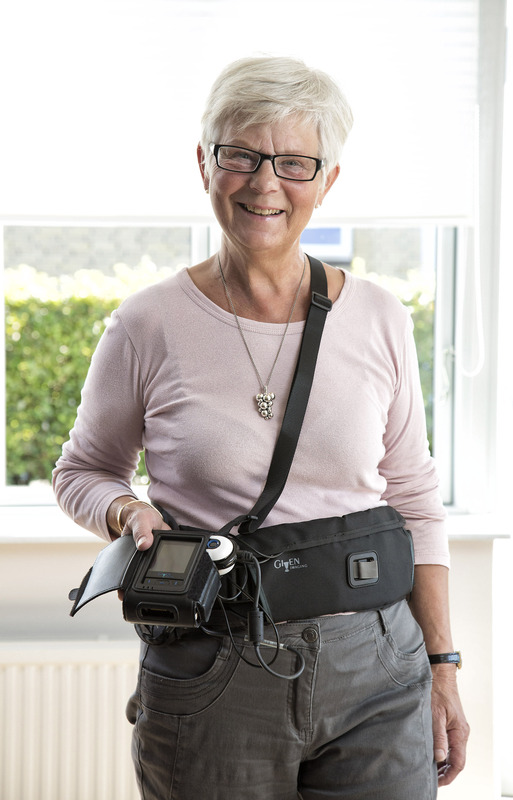 Every year, all Danes from the age of 50-75 are offered a screening for colon cancer with faeces samples and colonoscopy. Odense University Hospital has tested a so-called camera pill as an alternative method for screening for colon cancer. The pill is swallowed with a sip of water, and it takes 400.000 pictures on its way through the intestinal system. It takes six-eight hours. On its way through the body, the camera regularly sends pictures to a small recorder, which the person carries during the examination period. The pictures are then transferred to a server where data is analysed by a software, which finds deformations and marks the pictures where they occur. Afterwards it is easy for the health care personnel to study the particular pictures of deformations. When the pill has passed through the body, it is flushed out in the toilet – it cannot be recycled. The camera pill finds twice as many potentially cancer-causing polyps in the intestines compared to traditional colonoscopy. The appertaining software finds deformations and marks the file, so the health care personnel only have to study the deformations instead of the entire intestine. The camera pill is a more pleasant examination for the patient than the colonoscopy. This results in a more participants in the screening programme. The examination takes place in the patient’s own home – comfortable and convenient for the patient and resource saving for the health care sector. The camera pill is owned by the company Covidien – now Medtronic. Watch news about the camera pill from TV2 FYN (in Danish).